The OLTCA is the most comprehensive long term care operators association in Ontario, as well as the only organization that represents the full spectrum of long term care providers in the province. The OLTCA's mission is: "a voice of long term care, provides trusted leadership in influencing and shaping public policy and perception to enable the potential of long term care for the success of those who live and work in LTC homes in Ontario." To learn more about the newest long term care strategies, the OLTCA hosts conferences and encourages its members to regularly attend educational events. OLTCA members manage approximately 430 long-term care homes, which serve about 50,000 residents. These figures correspond to 70% of the total long-term care homes in Ontario and 66% of LTC residents in the province. Member Homes include private, not-for-profit and municipal operators of Ontario's long term care homes. Commercial Members: These companies, which are now more common than they have ever been, provide numerous products and services that improve the effectiveness and efficiency of homes and thus makes residents lives better. Though the Ontario Ministry of Health and Long Term Care regulates all long term care homes in Ontario, OLTCA members are known to exceed provincial standards. 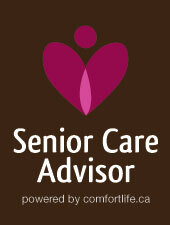 Its vision "to be the recognized leader in shaping long term care" reflects this goal to surpass expectations. Because demand for retirement homes is increasing, innovations in long-term care continue to emerge quickly. The OLTCA works with LTC leaders and community staff to ensure that they understand the nuances of the most innovative and effective treatment methods. The OLTCA helps member homes adapt to the most cutting edge developments in order to improve the lives of their residents. Effective communication-All stakeholders have a voice in the OLTCA’s decisions.